The laundry room is typically a forgotten part of the house; which is reserved to store all that we no longer use and all the mess of the house. 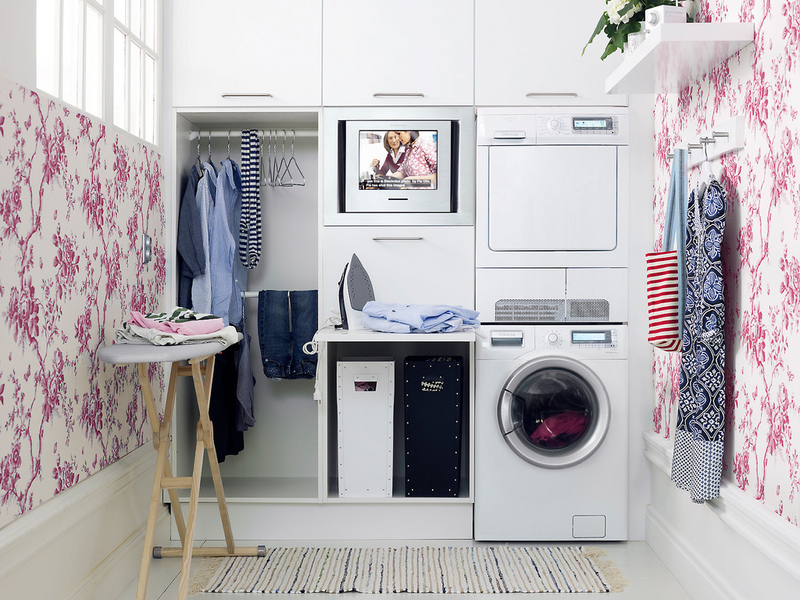 However, a functional and beautiful laundry can give a special touch to your home. 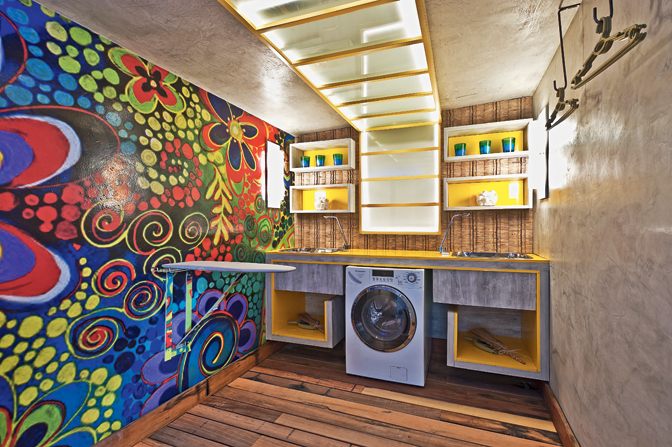 Although it is an area that needs to be conveniently used, laundry rooms can indeed be decorated using vibrant colors, beautiful accessories, wall papers, plants, and even wall stickers. Cabinets and shelves are totally necessary. Invest in durable and functional pieces. Wooden benches are also recommended for these areas, which in some projects can serve as support for buckets and even ironing boards. Wall stickers give a touch of fun to the environment. You can use a theme or neutral tones. Informal art is also welcome on laundry room walls. The rugs are completely necessary in laundry rooms, and can leave a much more beautiful environment. There are no rules for decorating this environment. The most important thing is that a laundry room is a nice place in the house, as well as functional.